With tax reform laws in a constant state of flux, it’s only fitting for taxpayers across the country to feel at least a modicum of anxiety with tax season on the horizon. Give your page viewers access to tax services and other financial services that address and alleviate their economic concerns by promoting these early Tax Day discounts now available on the FlexOffers network today! Through the H&R Block affiliate program, your site visitors will gain entry to its convenient online tax preparations services which explores all filling options to guarantee its customers 100 percent accuracy and the max tax return possible. 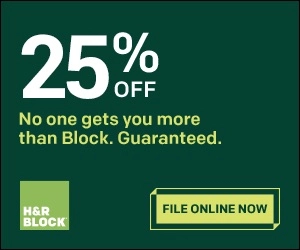 H&R Block accommodates individuals who desire to file their taxes online and offers in-office appointments for those who may need or prefer assistance with their taxes. File your Taxes for only $37.49 with H&R Block’s Premium Online Tax Filing Product! Devising a plan to grow cash reserves typically requires a great deal of thought but through the Digit affiliate program, the most frivolous spenders among your audience can begin saving money without even thinking about it. Digit analyzes its subscribers spending and automatically saves the perfect amount every day, allowing them to budget for their next vacation, pay off student loans, put money away for a rainy day, and more. You can forget about saving money! Digit analyzes your spending and automatically saves the perfect amount every day, so you don’t have to think about it. 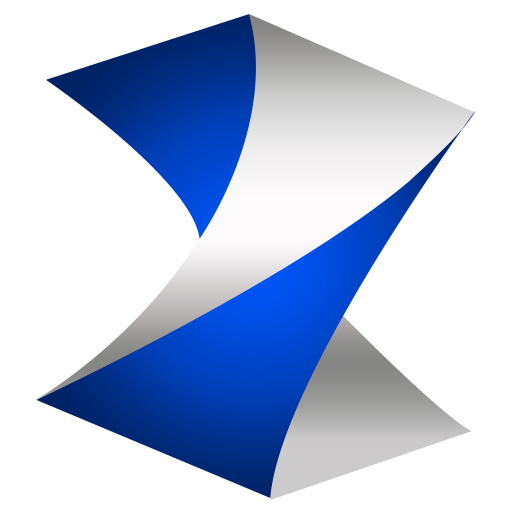 If your patrons are seeking measures to eliminate costly life insurance premiums, then you’ll certainly want to market the Mason Finance affiliate program on your site. Mason Finance streamlines selling and/or transference of insurance policy ownership by assessing the policy’s worth in just 60 seconds and subsequently introducing registered users to its network of licensed policy buyers. It’s not uncommon for day traders and investors to feel helpless to predict the stock market’s behavior. Thankfully, Motley Fool provides market-beating strategies that accurately anticipate market trends to help your readers successfully navigate the stock market. Currently, at Fool.com, customers can sign up for Motley Fool’s “Stock Advisor” and receives one year of unlimited access for just $99 a year. Credit Sesame | Non-Incent is a credit monitoring tool that grants consumers a complete picture of their credit and loans in one place, free of charge. Credit Sesame | Non-Incent empowers its users to achieve greater command of their finances by providing quality educational tools that help them enhance their credit score and increase the likelihood they’ll be approved for their next loan. Your Credit Score Matters. Do you know yours? Get Your Free Score Now at Credit Sesame. 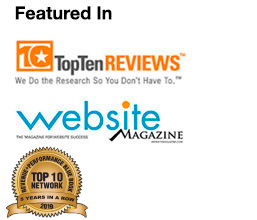 Attempting to understand the ins and outs of a 401k plan can be a daunting task but Blooom provides your web traffic a constant stream of information through its dedicated team of experts that help them optimize their 401k. Additionally, Blooom eliminates superfluous spending by exposing hidden investment fees and automatically rebalancing portfolios to endure employer and market shifts to facilitate the realization of retirement objectives. 401ks are complicated. Blooom isn’t. Link Blooom to your retirement account for smart, simple optimization. Market these early Tax Day discounts now available on your landing page via the FlexOffers.com network!